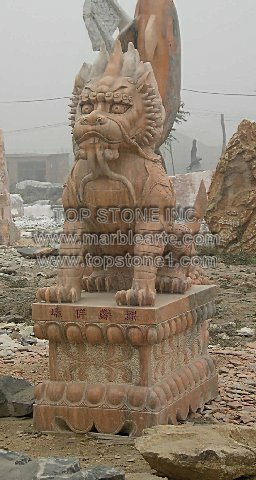 Description: TSAL150 - Somber Dragon Marble Carving - The marble statues china comprises of a number of this Somber Dragon marble arte. Available as vintage marble statues and as marble statues life size, it makes up one of the best marble statues ever created. Apart from its inimitable marble carvings its art marble and stone designs alone make this dragon statue worth dipping into your purses. Set up as a building entry or a custom made statues makes no difference to its otherworldly charm and fierceness.